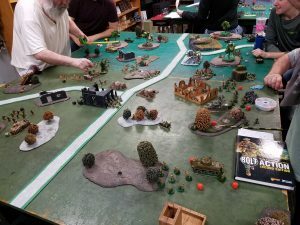 Come watch or join The Baton Rouge Society of Miniature Gaming play a vast assortment of games every Friday night. Sign-ups starts at 6:30pm and the event will start at 7pm. 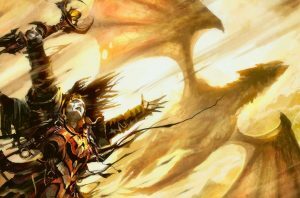 Come join us for some common magic festivities! Don’t forget to let us know if you need any cards, boosters, sleeves or any other accessories. If your young adventurer is obsessed with Stranger Things, they'll love our new D&D Youth League! We'll walk them through every step, from building and growing their character, to eventually running games of their own. Role-playing games have been proven to teach and strengthen math and social skills, as well as increasing vocabulary and abstract problem-solving. Parents are encouraged to attend and are welcome to assist young players or just observe. League is for ages 10-17. Bring your miniatures and put them on the table into battle or hang out and paint them into the squad colors you choose! Bring your Miniatures and help destroy or save the Galaxy!!! Kobolds, mercenaries and other baddies look out! Let's go on an adventure! Remember you get a free reroll per game with a Player Folio, you can pick one up at the store before your game.